This article is a work in progress. 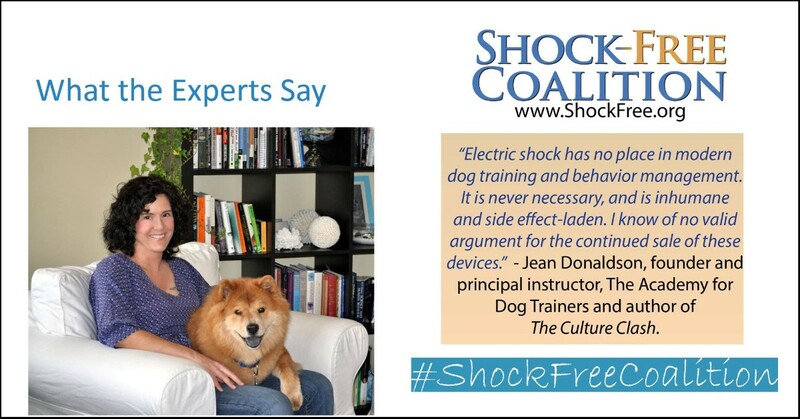 It is a list, with links, where available, to information that supports the position that the use of electric shock in the training, care, management, and containment of pets is both unnecessary and abusive. It is categorized into sections for Scientific Articles, Laws and Regulations, Mass Media Articles, Blog Posts and Articles on Websites, Podcasts, Position Statements, and Website and Social Media Pages. 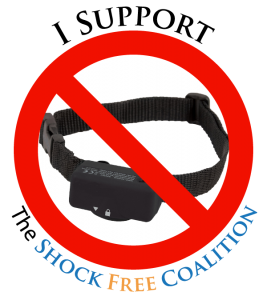 A shock collar looks like a standard collar that has a small box with two metal electrodes attached to it. The collar is designed to be worn around the dog’s neck. The collar is fit on the dog, so the electrodes penetrate the dog’s fur and press directly against the dog’s skin. When activated, there is a potential of 1500 volts to 4500 volts across the electrodes, which delivers a painful electrical shock to the dog5. Some collars may even operate at higher voltages. Unfortunately, it is impossible to confirm voltages because manufacturers are very secretive about the amount of voltage their systems apply. In addition to shocking your dog, these collars can cause burns, something we have observed on dogs wearing these devices. Currently, there are three types of shock collars in use; 1) underground/non-visible fence containment collars, 2) remote training collars, and 3) anti-bark collars. The manner in which the collars are activated varies with the type of collar. Underground fence containment systems administer a shock to the dog when they approach or cross a buried wire. Typical collars emit an audible warning tone or beep as the dog approaches the wire and ideally, the dog will stop upon hearing the warning tone and will not get a shock. However, if the collar is to be effective at all the dog will need to be shocked at least once, and typically many times if the collar is to be effective. During the training phase with this type of shock collar, small flags or some other visual indicator are supposed to be placed in the ground making the invisible border visible. Remote training collars utilize a transmitting unit, held by the person. By pressing a button on the transmitter, the person can deliver a shock to the dog from a distant location. A warning tone may sound before the shock. The shock is used as a form of positive punishment (the dog is shocked when it does something the person does not want). For example: if a dog were chasing the neighbor’s livestock it would be shocked in the hopes of stopping the behavior. Remote shock collars are also used for negative reinforcement (the dog is shocked continuously until it exhibits a desirable behavior). For example: if a dog does not come when called it would be shocked continuously until it returned to the handler. People typically use these collars for treating behavioral problems (chasing livestock/predatory behavior, poor recall) and in dog sports such as field trials and hunting. 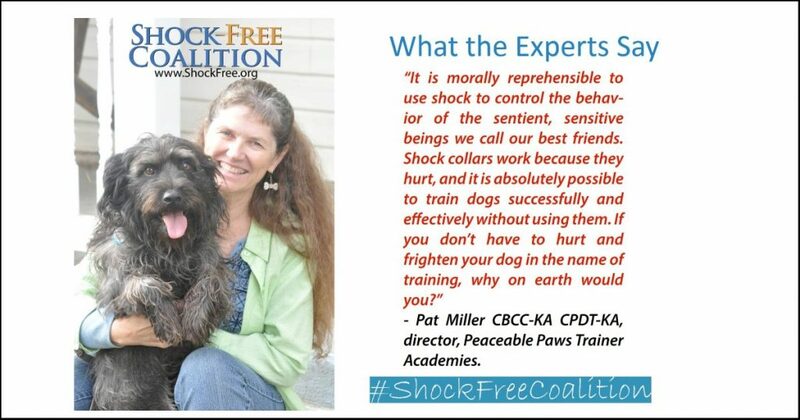 There are even dog trainers that advocate the use of a shock collar for training typical pet dog behaviors such as sit and stay. Anti-bark shock collars work by detecting when the dog barks and then administering an electric shock as a form of punishment, in theory, stopping the dog from barking. There is no doubt that shock collars cause pain. While proponents might call it a “stim” a “tap,” or a “static charge” we know from the science of operant conditioning that the aversive stimulus (electric shock) must be sufficiently distressing (i.e., physical or emotionally painful) to cause a change in behavior. A third study8 compared the features of several shock collars and examined how they are used by typical pet owners. The researchers concluded “for a subset of dogs tested, the previous use of e-collars in training are associated with behavioural and physiological responses that are consistent with significant negative emotional states; this was not seen to the same extent in the control population. It is therefore suggested that the use of e-collars in training pet dogs can lead to a negative impact on welfare, at least in a proportion of animals trained using this technique.” (p4). As noted in this study, misuse and inappropriate use of shock collars are not uncommon. One of Green Acres’ staff witnessed such abuse at a field trial event right here in Maine. A dog owner with two dogs was working with one of his dogs and had a second dog in his truck in its crate. The dog that he was working with did not respond to a command, so the owner pressed a button on the remote to shock the dog. The dog still did not respond to the command, so the owner shocked the dog again. Meanwhile, the dog in the crate was yelping each time the owner was intending to shock the dog he was allegedly training. It was not until our staff member pointed it out that the owner realized he was shocking his dog in the crate and not the one he was working with. It would seem that the owner had picked up the wrong remote unit. We believe that individuals that choose underground fence systems for containment are not intending any ill will towards their pet; in fact, it is often quite the opposite. People want to give their pet as much room to run as possible, and they believe that an underground containment system allows for more “freedom” at less financial cost. The problem lays in the lack of understanding about the pitfalls of this type of containment system and the lasting harm that may come to the dog. In our experience, shock collar systems, where a dog hears a beep followed by an electrical shock at their neck if they continue across the boundary line of your property, create a false sense of security for dog owners and often cause a dog to become fearful and anxious, especially towards other people. The false sense of security comes from the fact, as many have observed, the non-visible fence does not always keep the dog on their property. A dog can see, hear and smell beyond the invisible line buried under the ground and may be attracted to something on the other side of the line causing them to blast through the “fence,” resulting in their getting a shock. If the dog wants to return to its yard, it must now suffer a shock to do so. In other words, there is no incentive to go back home but an intense motivation to stay away. Additionally, these containment systems do nothing to prevent others dogs, animals or people from entering into your yard. A regular fence has a much higher probability of keeping a dog in and keeping others out, thus ensuring the safety of your dog. People also tend to think that since there is a containment system in place; their dog can be left alone in the yard. They leave their dog unattended, even though most of the manuals for these systems explicitly indicate you should remain with your dog at all times as they are not a substitute for a reliable fence. Containment systems using electric shock do not offer you the same level of freedom as a conventional fence. While dogs do not always get the shock, sometimes they just hear the beep, that uncertainty in itself can create even more anxiety. If you are from the Midwest you can relate; the anxiety starts when the tornado sirens go off whether the tornado happens or not. 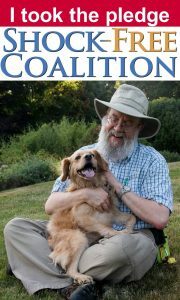 If people approaching the dog cause the dog to get a shock, or even just a beep (a reliable predictor of a shock or the system would not work) and the dog has nowhere else to go (the fence essentially traps them in their yard) then the dog is going to do everything possible to drive those people away – including taking an aggressive posture which may increase the probability of creating a dog with territorial aggression. Other factors to consider are how your dog will feel about their yard, the space you have designed to give them “freedom.” Sadly I have consulted with clients where the experience of being shocked in the yard causes the dog to refuse to go into the yard. Even more distressing, I have worked with clients where the dog now trembles in terror anytime it hears a beep that sounds anything like the beep of the shock collar (e.g., your mobile phone when you get a text, the smoke alarm when the battery is low, or a kitchen timer when it goes off). The beep even without the shock can and does cause anxiety. Lastly, like most pieces of technology, shock collars can malfunction. I know of people that have used shock based containment systems where the battery has stopped working which means the collar will no longer beep or shock. More frightening, I have been told of cases where the collar has malfunctioned resulting in the dog being shocked continuously until the battery dies. The companies that design, manufacture and sell these shock collar systems are unregulated and are primarily interested in profit. They are under no regulatory obligation to report problems that have already occurred. If you do report problems to the manufacturer, you will likely be told you did not follow the directions properly. Since these products are not regulated, we have no idea how many problems have occurred or how severe those problems have been. While these companies claim their products give pets more freedom, keep pets safe and even save pets lives, these claims are not supported by published scientific evidence. 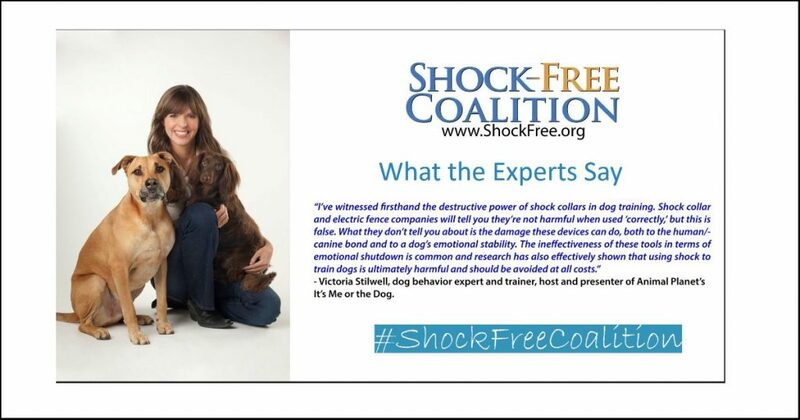 In fact, the evidence in the peer-reviewed literature on the subject of shock collars suggests the exact opposite. Some people argue that using an underground fence to contain their dog gives the dog more freedom. Dr. Karen Overall, a veterinary behaviorist answers that argument like this: “It’s a myth that invisible fences provide dogs with more freedom. 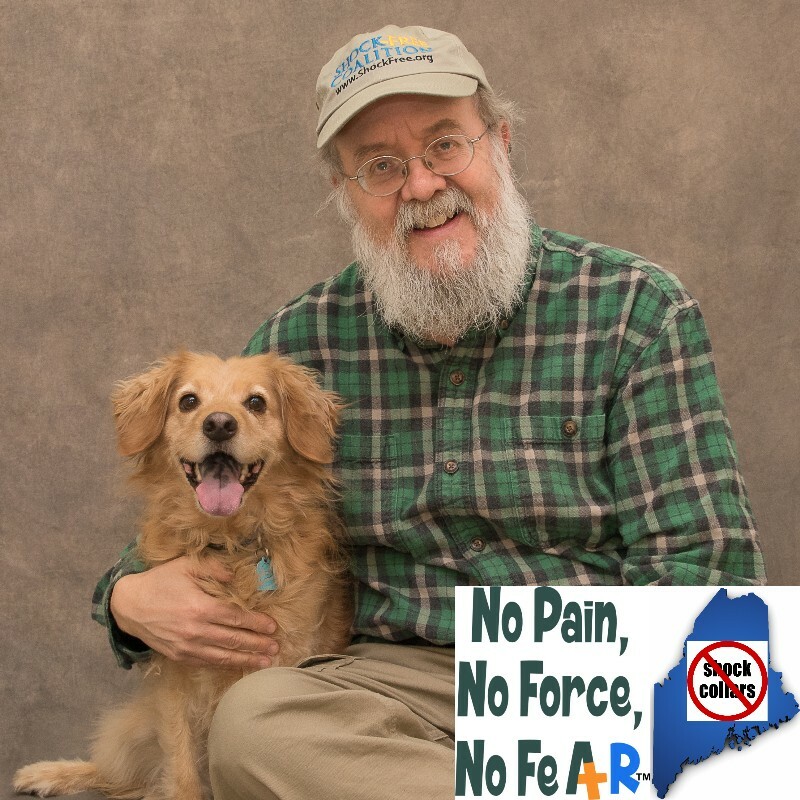 In fact, these devices violate the principles of three of five freedoms that define adequate welfare for animals: Freedom from pain, injury, and disease, Freedom to express normal behavior and Freedom from fear and distress.”11. The five freedoms Dr. Overall has mentioned are Brambell’s Five Freedoms – a standard for assessing animal welfare since the 1960’s12. Alternatives to using a containment system based on electric shock include; a real fence, a small fenced kennel area on your property, and more frequent walks/exercise with your dog – something that that would be good for both you and your dog. Electric shock via remote control is used to positively punish (a momentary shock to decrease behavior) or negatively reinforce (an ongoing shock to increase a behavior) a dog. 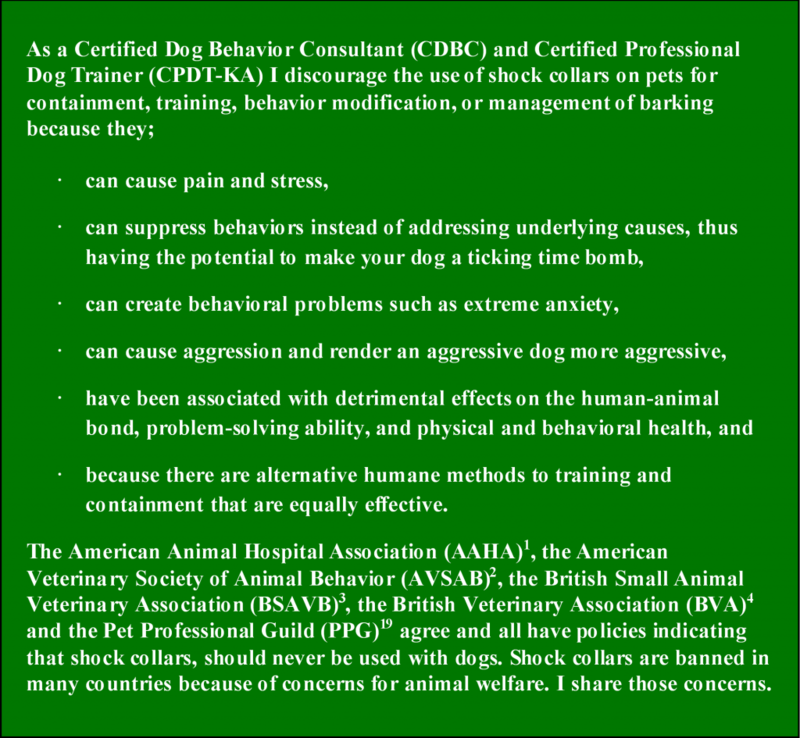 For a real example of the use of a remote shock collar and its consequences, read How Does Pain Cause Aggression- Case #2 below. Alternatives to using a remote controlled shock collar include; more effective management of your dog and its environment and a reward-based training program. As for performance sports or working dogs, Green Acres staff and students, as well as many others, have successfully trained dogs for field trials and search and rescue using clicker training and reward based training. Some of the most amazing working animals in the world, those working for the U.S. Navy, have been trained exclusively with reward-based training. Barking is a very normal and very complex behavior for a dog, meaning that there are many possible reasons a dog barks. One of the most frequent reasons a dog barks is due to anxiety. If a stressed dog suddenly receives a painful shock on its neck, it is much more likely to become even more anxious and increase its vocalizing, thus receiving more shocks. These collars cannot distinguish why a dog is barking so just keep shocking away. Because sound triggers them, even another dogs bark can trigger the collar around a dog that is being quiet. For this reason alone, these devices should never be used in multi-dog households or any places with multiple dogs like a boarding or daycare facility. Sadly there are such facilities in our community that use these devices. Working with a qualified dog behavior consultant to determine the cause of the barking and to assist in developing a management and behavior modification plan to address the barking will have a higher probability of success. How Does Pain Cause Aggression? At some level this seems like a foolish question. I bet that everyone of us can come up with several examples of where we were hurting and not feeling well and were acting rather surly/ Animals are no better or different than us. The use of positive punishment in the form of choke collars, prong collars, and shock collars can cause aggression. This occurs because the anxiety and pain the dog feels when shocked or choked are often associated with whatever the dog was focusing on at that instant rather than their own behavior. 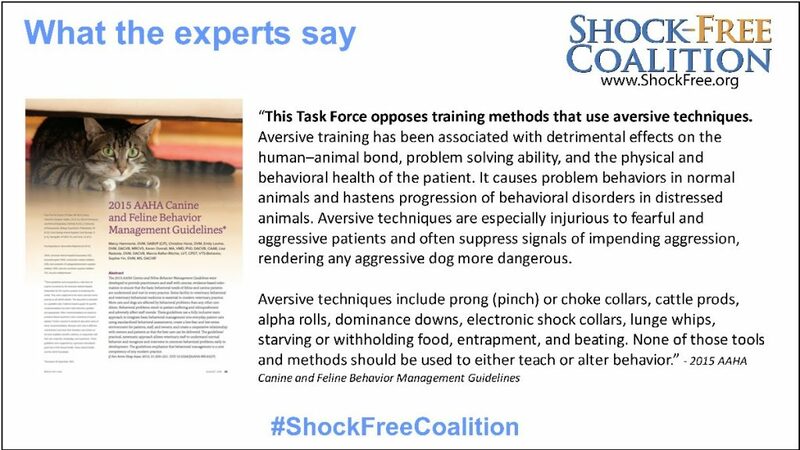 Both real-life cases described below illustrate how using a shock collar created aggression in previously friendly dogs. “Jake,” a very social dog, bounded off to greet every person he saw. Jake’s guardians were concerned about him leaving the yard because he frequently went to visit the neighbor. For what they believed was his protection, the family installed an underground fence system that would keep Jake in their yard. They trained him to the system per the manufacturer’s instructions. A few weeks after the system was installed, Jake saw the neighbor out in her yard. Since Jake had always liked his neighbor he ran straight for her when he was shocked for crossing the line. This happened a few more times, the once friendly Jake always getting shocked as he ran towards the neighbor. Then one day Jake was inside his home when the neighbor knocked on the front door. When the family opened the door, Jake saw the neighbor and immediately reacted by biting her in the leg. To Jake, the neighbor was the predictor of the shock, and he now associated the neighbor with being shocked. This incident could have been prevented with the installation of a good, old-fashioned fence or by supervising Jake when he was out in the yard. “Jenny,” would drag her guardians around on her leash, especially when she saw another dog. Jenny was just curious and friendly and wanted to greet the other dogs, but her guardians were older, and Jenny was a strong dog. They had made no attempts to train Jenny and were frustrated with being pulled all over anytime Jenny saw another dog. They went to a big-box pet store where it was suggested they purchase a remote shock collar. They were instructed to shock Jenny whenever she pulled on her leash. On their next walk, Jenny, as she always had done, moved forward in friendly greeting when she spotted another dog. Jenny was fixated on the dog she wanted to meet when she was shocked. The next time Jenny saw another dog on a walk she immediately became anxious. As the dog approached, Jenny lunged, but this time she also growled and bared her teeth. Jenny had become very afraid and was trying to look fierce to scare the dog away before it hurt her when she was shocked yet again. Jenny, now anxious and confused about other dogs, has learned to become defensively aggressive. These are not isolated occurrences. I have training colleagues throughout the country that could tell you of similar incidents. What Do the Experts Say About Shock Collars? A study published in 20005 looked at five dogs who were subjected to shock collar containment systems and who later bit people, resulting in a lawsuit. No dog had a prior history of displaying aggression towards people, and it is believed that the dogs received a shock at the time of the attack. There is no evidence to suggest that the humans bitten were acting threateningly before the attack. In all cases, the dogs bit the victim repeatedly and uninhibitedly, resulting in serious bodily injury. Other studies on the use of electrical shock on other species, including humans, have noted the extreme viciousness and intensity of shock-elicited aggression. In her book, Manual of Clinical Behavioral Medicine for Dogs and Cats noted veterinary behaviorist Dr. Karen Overall says this about the use of electrical shock for the training of animals. 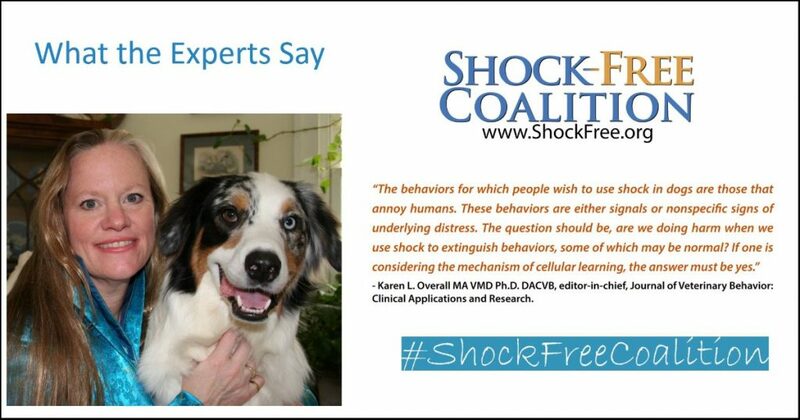 The use of shock is not treatment for pets with behavioral concerns. 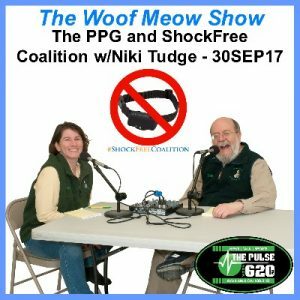 So What Can You Do To Help Prevent Dogs from Getting Shocked? 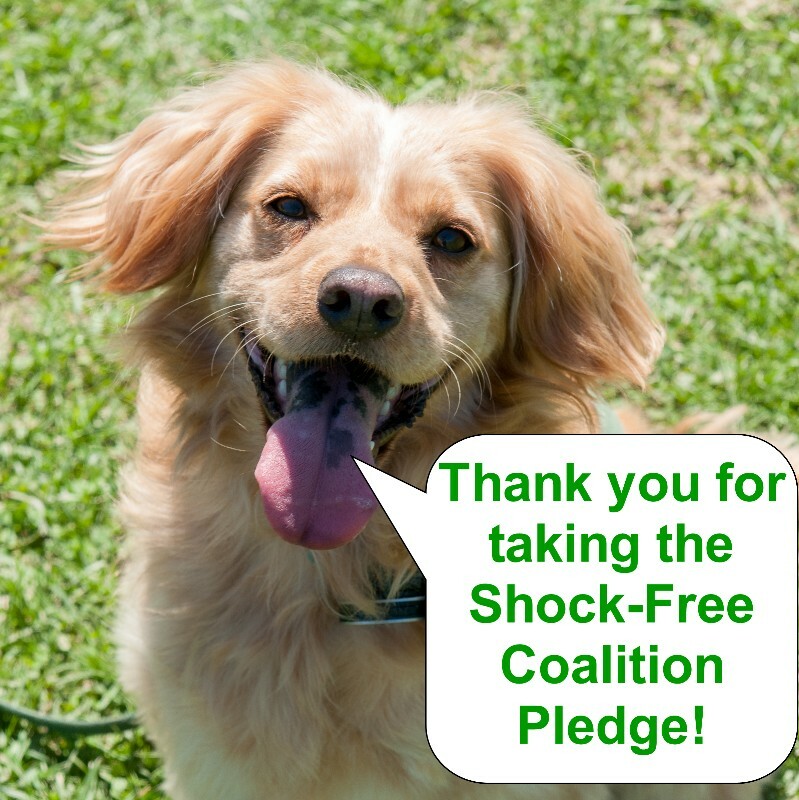 Once you signed the pledge download materials from Shock Free Coalition and share them on social media. Get your friends and family members to take the pledge as well. While you’re at it, ask your veterinarian, boarding kennel, doggie daycare, groomer, dog walker, and pet store to take the pledge. Why wouldn’t they? 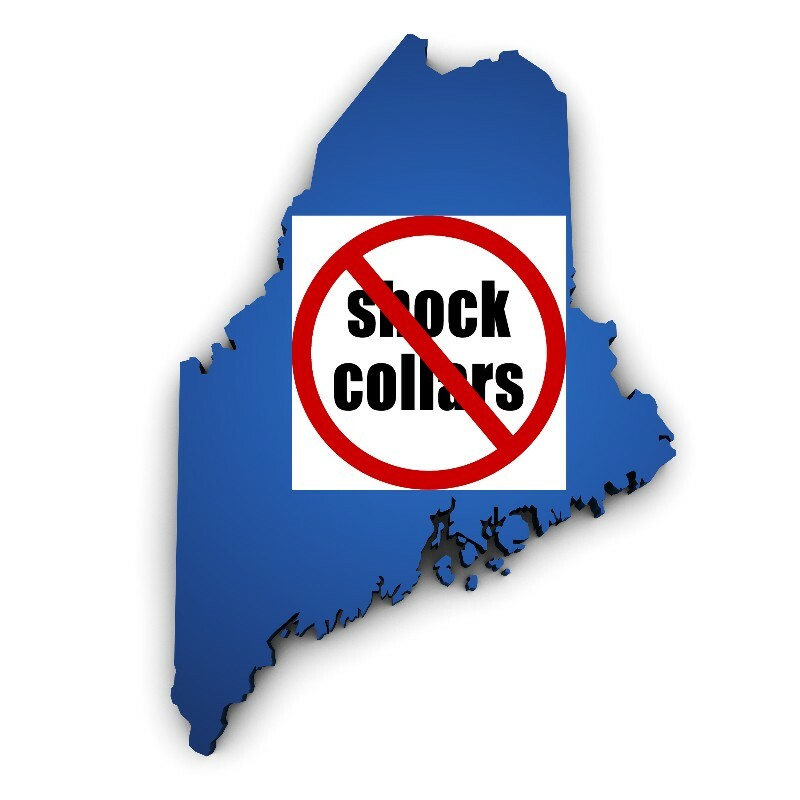 If you would like to learn more about what we are doing in the state of Maine visit our website at http://bit.ly/Shock-FreeME or click on the graphic to the left. As the late Mahatma Gandhi said, “The greatness of a nation and its moral progress can be judged by the way its animals are treated.” Using electric shock on animals is not treating them kindly or effectively. While we recognize both managing and training a dog can be frustrating at times, there is always a better way to deal with a situation than using electric shock.